Whenever any of us look for a new healthcare provider, there are a few things that are nonnegotiable: He/she needs good listening skills, the time, patience and experience to correctly diagnose our problem, good communication in explaining things to us in plain language, plus time for questions. There are a few other things that keep us coming back: a great support staff, being punctual within reason for appointments, and good followup aftercare. Dr. Jorge Abalos of Artesia General Hospital has all of these traits in abundance, which is why he was voted Artesia’s Best Healthcare Professional for 2016. 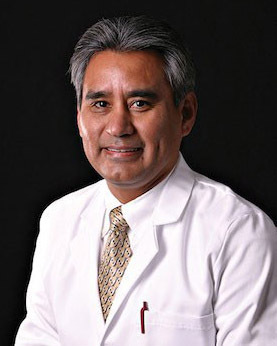 Abalos has been practicing medicine for 23 years in Artesia, specializing in family medicine and emergency medicine. He’s treated multiple generations of Artesians and seen many of us at our worst in the ER. Abalos has won quite a few other awards through the years, including Artesia General Hospital’s Spirit of Excellence award, the Patient’s Choice award, and the Compassionate Doctor Recognition. He was also voted the Best Doctor in the 2010 Best of Artesia contest. That pretty much sums up the priorities of a valued doctor, doesn’t it?